Become an AmeriCorps member and make a difference in your community! Tutor and mentor at-risk elementary and middle school students in Central Texas schools. The Communities In Schools of Central Texas AmeriCorps program is now recruiting AmeriCorps members for our 2019 - 2020 program year. 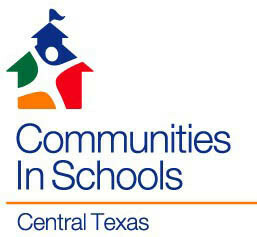 Communities In Schools is a non-profit social work agency that works in Central Texas area public schools. CIS of CT AmeriCorps places members on elementary and middle school campuses in Travis County (Austin, Manor, and Del Valle), Hays County (Buda, Kyle and Niederwald), and Caldwell County (Dale and Lockhart) where they serve as supportive mentors and tutors to at-risk students. We are seeking dedicated, responsible applicants with a genuine passion for working with at-risk youth. Experience with children grades 3-8 preferable but not required. Bilingual applicants, veterans, and individuals with disabilities are strongly encouraged to apply. We provide thorough training and ongoing support. Program Dates: September 3, 2019 – June 30, 2020. You must serve for the entire program length. Start and end dates are not flexible. Stipend and Other Benefits: Half-time members receive a $7,050.00 total living allowance, paid in 10 monthly installments. Upon successful completion of service, members also receive a $3,047.00 education award that can be used for qualified educational expenses for up to 7 years. Hours: Half-time members will serve 25 hours per week. Hours are generally served Monday through Friday between 7:30 am – 4:30 pm.